http://ow.ly/2WxSW Check out the Quad anchor. Pre-rig and use as top anchor for top roping sport climbs? Great ice climbing anchor too. QC Lab: Daisy chain dangers – Black Diamond Equipment, Ltd.
QC Lab: Daisy chain dangers – Black Diamond Equipment, Ltd..
Now that everyone is done with their income tax return…Don’t forget the Used Gear Sale at Adventure’s Edge. Drop off your gear to sell tomorrow before 7pm and come Saturday between 10am and 4pm to get great gear deals. Banff Mountain Film Festival Thursday April 8th 7pm Mgtn High. Tickets @ Adventures Edge up until 4pm on the 8th. $10/students, $13/adults. 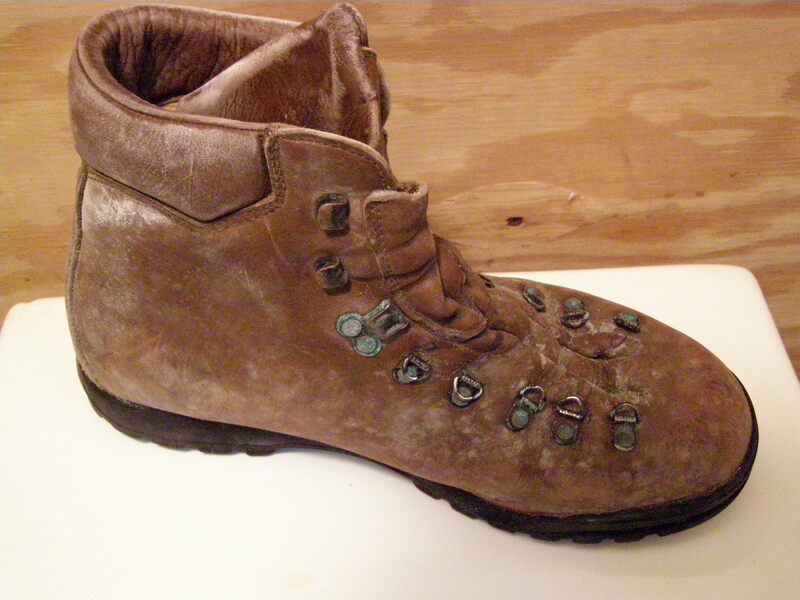 If you store your hiking boots and they get moldy like the boot on the left, there are products that can help. 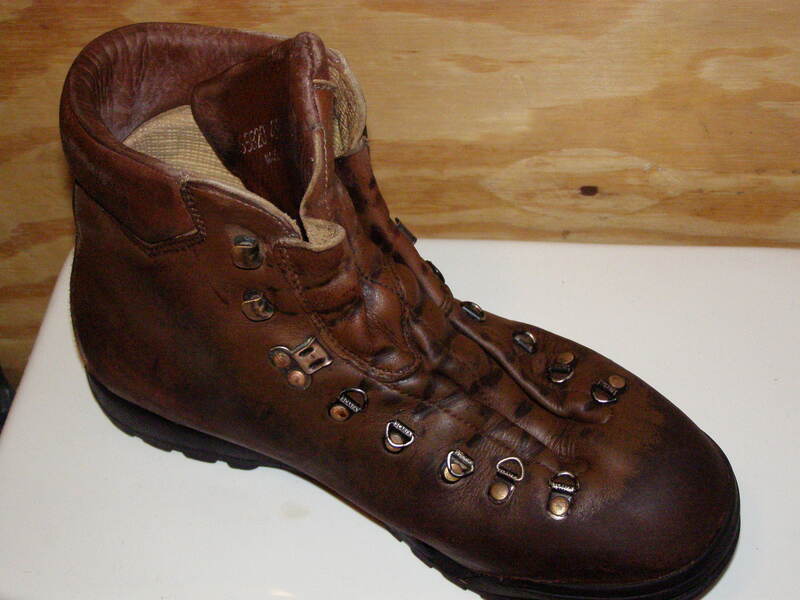 The boot on the right was cleaned with Nikwax Cleaning Gel, then treated with Nikwax Waterproofing for Leather with a brown dye in it to put some of the color back in it. 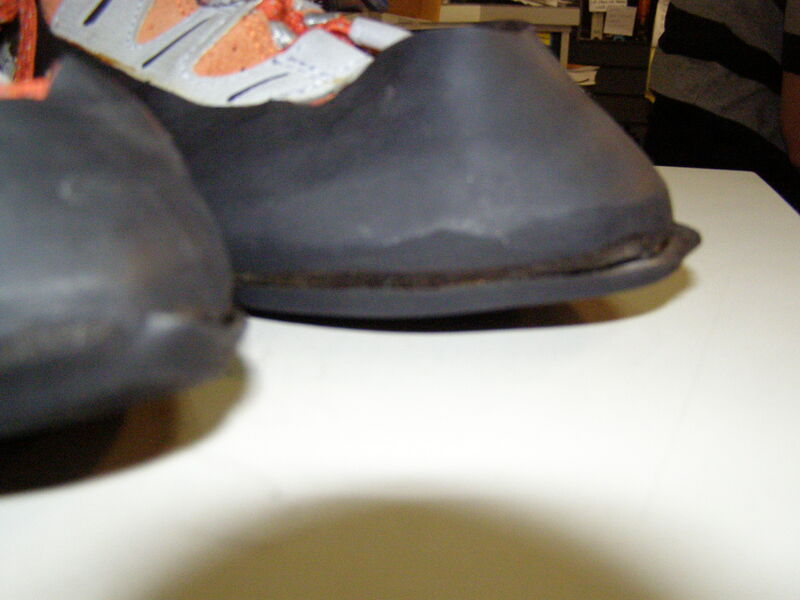 Just for good measure it was conditioned and waterproofed with Aquaseal. Almost good as new.